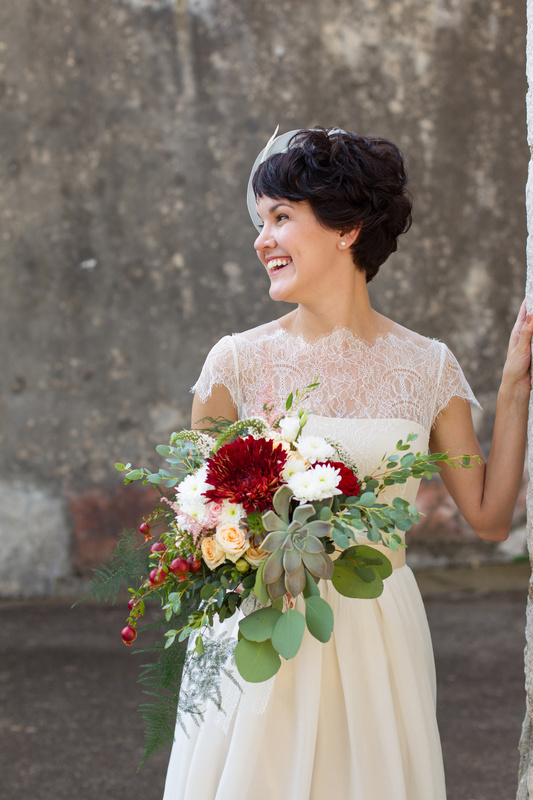 Pocketful of Sunshine Event Design specializes in full-service wedding planning in the Columbia, SC area. We craft gorgeous, authentic weddings for non-traditional couples that want a celebration that's as unique as their love story. Our client experience is second-to-none. Once you select the planning, design, floral, &coordination services that best suit your combined needs, we'll immediately get started creating your dream wedding celebration. We know you're both busy professionals with plenty of day-to-day activities that you have to juggle. We want to pamper you during every step of your engagement - you deserve to rest and relax during the most exciting time of your life! While our staff is working hard on the details of your gorgeous wedding, you'll be whisked away in a chauffeur-driven limousine so you can shop for your wedding dress in style. Since both of you need to look your best on your big day, we also offer a custom suit shopping experience in Charleston or Atlanta. Enjoy champagne & strawberries or bourbon & a cigar to make your apparel and accessories shopping experience complete. To keep your stress levels at bay closer to the wedding, you'll also luxuriate in a spa day for two. A couples' massage and a facial is the perfect remedy to help you relax as we finalize the details of your celebration. Our exclusive Concierge Service includes all the benefits & offerings of our Full Service Weddings package, and can be completely personalized to meet all your needs. Our full-service planning package is definitely our most popular! After our initial consultation to determine your personal style aesthetics, wedding concepts and details, we create a complete stylized proposal that walks your through every aspect and detail of your wedding, from save-the-dates to your final farewell. Using your custom proposal we then secure your wedding creatives: lighting, draping, rentals, catering, musicians, stationer, entertainment, and floral designers that can flawlessly execute your wedding vision. In addition, we match you with photographers and cinematographers that can capture every moment for you to remember. We assist with securing room blocks for out-of-town guests as well as help design concepts for welcome gifts. We attend all location walk-throughs and tastings as necessary to assist with flow, special planning, set-up, and timing of your wedding. We coordinate every aspect of your rehearsal and wedding day with each vendor as well as the members of your wedding party and family. All you have to do is relax and enjoy the beauty of your special day! After an initial aesthetics consultation, we help pull together your design and style sensibilities as well as budget into a comprehensively styled overview. We use those details to develop your visual mood board, and we also create an overall spatial design and flow plan for all of your celebration spaces. Using your custom design plan, we then help you select a recommended group of wedding creatives that match your stylistic and budgetary needs. We attend all design meetings and venue walk-throughs as necessary. On your rehearsal day we set up your decor and design elements to perfectly match your wedding vision. After your initial consultation to determine your wedding concepts & design aesthetics, we take over communication with your creative team approximately 6 -8 weeks prior to your wedding. We work together to develop a detailed timeline that keeps your big day running smoothly & efficiently. Month-Of Wedding Management works best for couples that have a firm grasp on their overall wedding plan and only desire assistance near the end of their wedding planning. A la carte services can be added to this package to best fit your needs. We also offer floral design as an a la carte item. We can provide a complete floral proposal for your wedding or any other event. Hourly consultations are perfect for couples that need assistance getting their wedding plans & designs underway without in-depth planning or coordination. Hourly consultations may include areas like: creative direction, mood board creation, vendor contract review, & timeline development. 3-hour minimum consultation package required. The investment details listed above are starting prices for our services. Contact us today for more information about in-depth pricing for your wedding planning package, which is based on the complexity & scope of your specific wedding details.